By default sub-categories won’t be displayed until parent category become active. 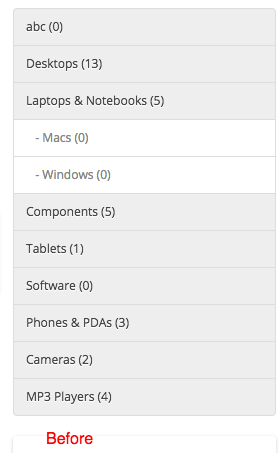 If you want to keep sub-categories visible always, this hacks for you. This entry was posted in Trick & Tips on August 7, 2016 by samir.